Teletronix LA-2A Classic Leveler Collection Plug-In, Software compressor from Universal Audio in the UAD Plug-In series. 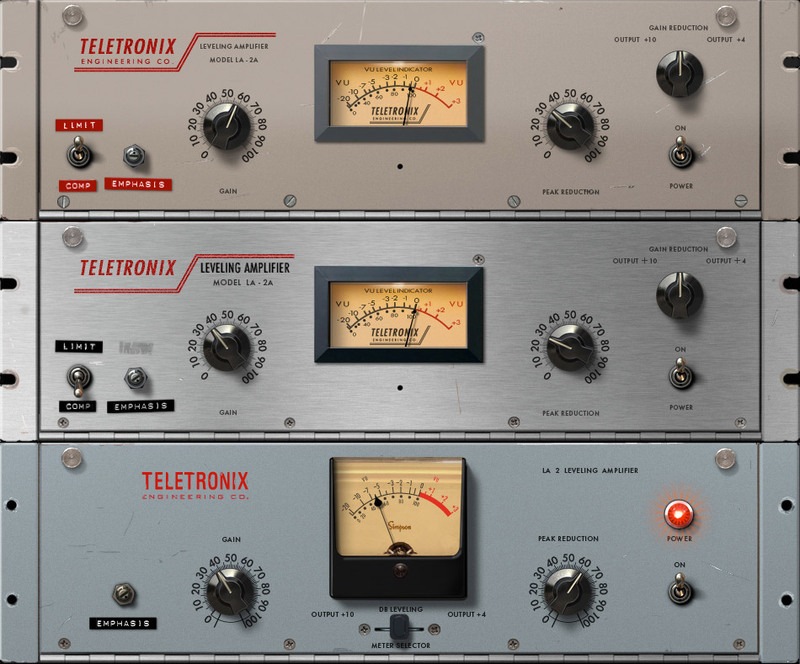 Universal Audio gathered the emulations of three distinct Teletronix LA-2A hardware units in a collection for UAD and Apollo. With the new LA-2A Classic Leveler Plug-In Collection, Universal Audio modeled the entire electronic path of three highly coveted hardware units — “Silver,” “Gray,” and the original LA-2 models. The Bill Putnam-era LA-2A “Silver” model features a fast time constant, making it suitable on all sources, including drums and percussion. The Jim Lawrence-era LA-2A “Gray” model maintains an average time constant, providing a range of “medium-speed” compression. 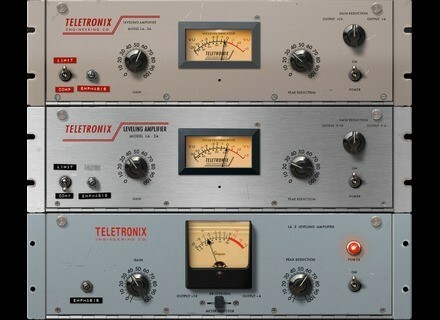 Finally, the LA-2 plug-in models the rarest of original Teletronix units, providing a super-slow compression response. [NAMM] Universal Audio API 500 EQ Collection Universal Audio announces the impending release of the API 500 Series EQ Plug-In Collection for the UAD platform and Apollo Interface. [NAMM] PreSonus announces Capture v2.0 PreSonus announces at NAMM 2013 Capture 2.0, a major upgrade to its audio-recording software for Mac and Windows. [NAMM] Apogee One interface for iPad and Mac Apogee Electronics introduces all new “ONE” audio interface & microphone for iPad & Mac and new Maestro control app for iOS.